Introducing the Buckwheat Font Collection. 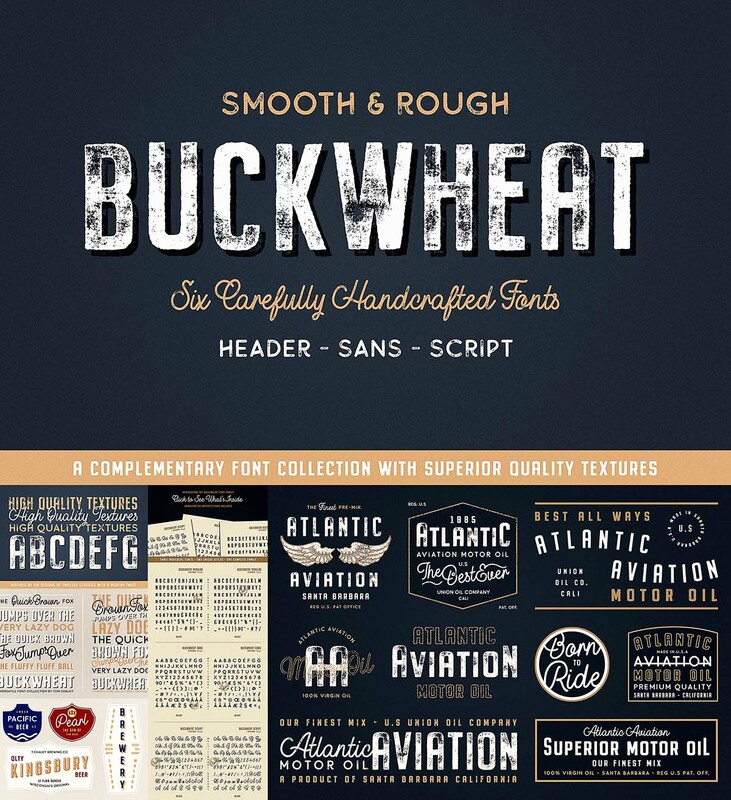 Collection includes: Buckwheat TC Regular: A condensed heading/titling font boasting real small caps, Buckwheat TC Sans: A rounded sans-serif font with several stylistic alternatives for various capitals, Buckwheat TC Script: Tying everything together, a simple yet effective monoline script font designed to look great big or small. Tags: condensed, font collection, grunge, header, letterpress, masculine, rough, sans, script, texture, textured font, vintage font.